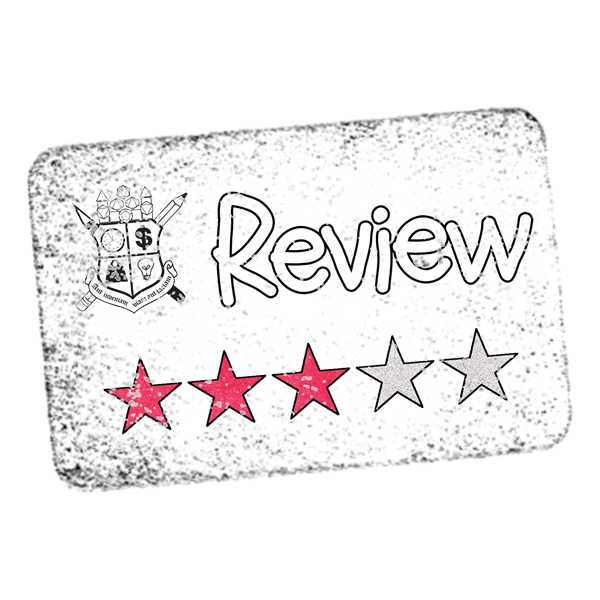 During DriveThruRPG's GM Day sale I tossed a few odds & ends into my online shopping cart and one such item was the Instant NPC Personality Generator from DRAKAT Games. I was intrigued by the possibility of making it easier for me to create NPCs on the fly because this is pretty much how I roll as a GM. I run with a huge list of NPC names, separated by race, and I essentially mark them off as I use them, jotting down any small notes I need to remember about them for future use. 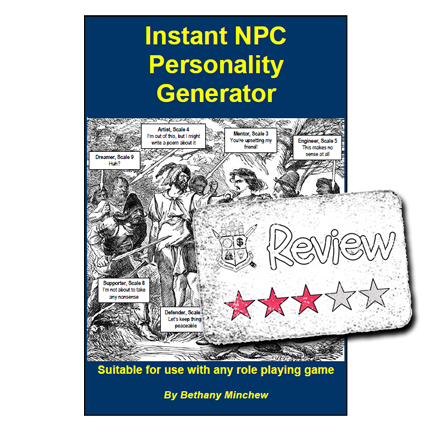 This Instant NPC Personality Generator seemed to be a bit much for my personal take on running NPCs, but I can it is being really useful to a lot of other GMs. The 12 page PDF comes with three pages of random NPCs, just roll a percentile and pick one off of the list. That table is a bit simple, but the author provided another table for you to customize and a pretty good explanation of how they dumbed-down the Myers-Briggs personality types for this gaming aide. There was some "talk" of how certain personality types will mesh/clash with other types and how you can factor this into how NPCs of one personality type will interact with the personality types of your PCs.......this was a bit lost on me. I don't really want to get this cerebral when running a game.